15th October, 2015 is a global advocacy day dedicated to increasing awareness and understanding about the importance of hand washing with soap as an effective and affordable way to prevent diseases and save lives. Global Hand washing Day is an opportunity to design, test, and replicate creative ways to encourage people to wash their hands with soap at critical times. Reduction in mortality and morbidity in four district of CSZ of Somalia through global hand washing day promotion and awareness raising..
SOYVGA main issue set is behavioral communication change designed to promote health in Baidoa, Qoryoley, Afgoye and Banadir districts of south central Somalia..
shirts: Over 800 T.shirts with slogan of hand washing message were distributed in 4 districts of activity sites. Posters messages: 50 posters were used in disseminating the hand washing messages in the entire four districts. Media (two local FM radios): two local FM radios were used to disseminate hand washing messages during all media news repeatedly. Public gatherings: markets. Mosques, schools. Were targeted place and awareness on hand washing. 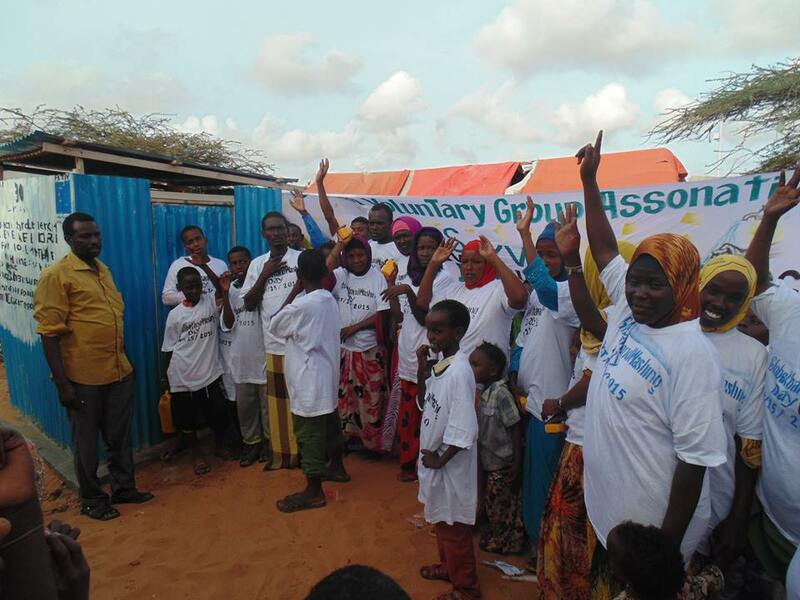 Hand washing demonstration: 32 demonstrations were conducted in four districts of CSZ. Soap distribution: 480 pieces of soap were distributed to mothers at the demonstration sites. The participants taught when to wash hand. They also taught how to wash hand. NAYD member Somali Youth Voluntary Group Association (SOYVGA) aims to raise awareness of the importance of youth participation and investing in youth; to encourage mutual understanding among youth and create a platform of interaction by organizing events that enhances participation and open discussions on issues that affect their lives as youth and take actions to address the identified issues thus resulting unity; to create awareness and promote peace among the youth. 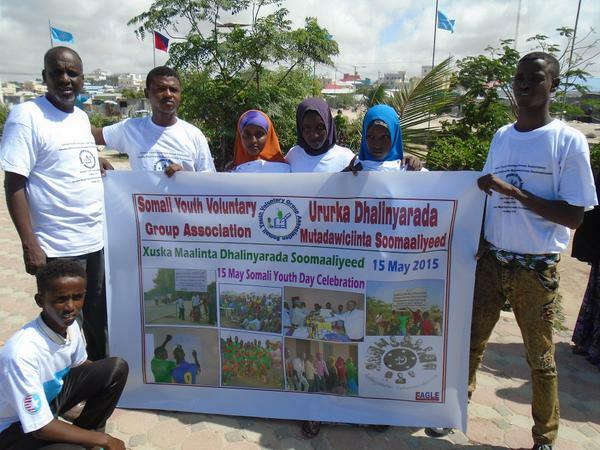 During World Youth Day events were held in Baidao , Lower Shebelle Region and Benadir Region successfully. Youth events are a little different from normal in Somalia because of insecurity. All the same we successfully celebrated the day in communities, schools, youth clubs, or workplaces. We hope you enjoy the pictures! September this year is an important month for Africa in terms of development. The process of arriving at SDGs which has been long and involving different stakeholders will culminate at these SDGs being adopted by UN Member States. There are many young people out there doing amazing work at the community in different capacities and NAYD wishes to highlight their work and help tell a positive African story. 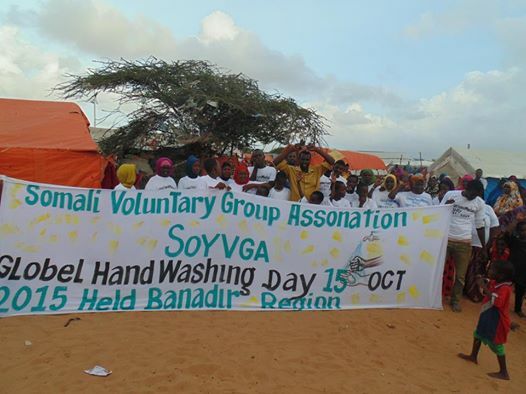 This month we celebrate the work done by Somali Youth Voluntary Group Association (SOYVGA) which is based in Somalia. 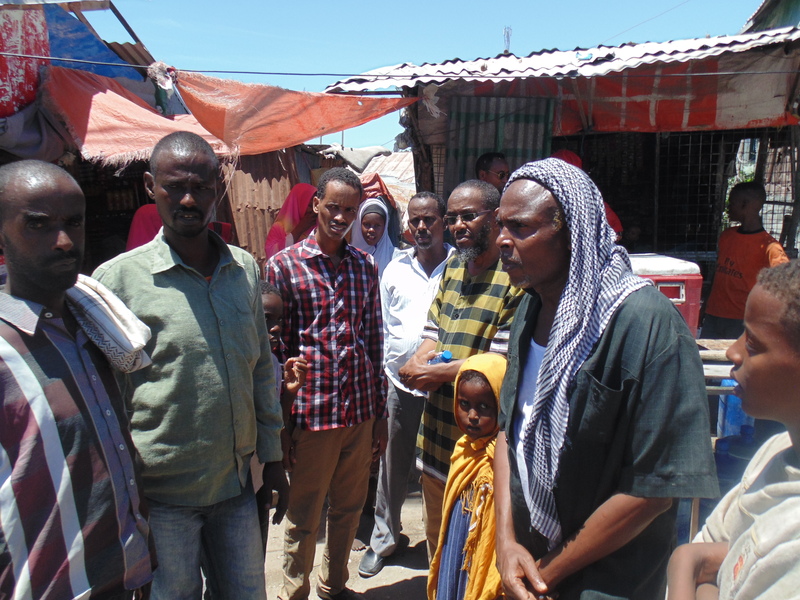 Following the political upheavals in Somalia that saw many people displaced and others leaving the country among those remained saw a need in the community and decided to come together and do something about it. 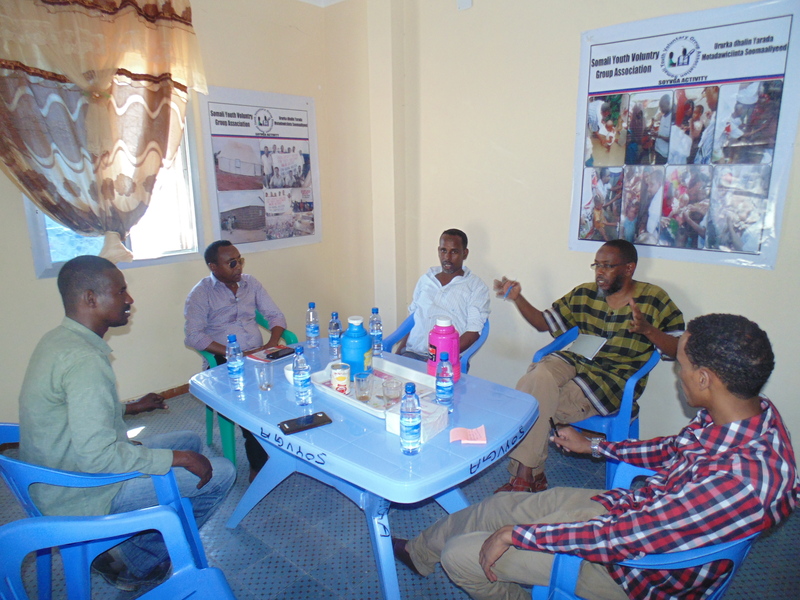 This saw the birth of SOYVGA which seeks to equip the youth with skills and the capacity to build their country.SOYVGA envisions a Somalia with socio-economic conditions that enables communities to live in prosperity, self-reliance, sustainable peace, democracy and respect for human rights. SOYVGA has projects focusing on different areas from humanitarian assistance, education, food security, economic development to governance. 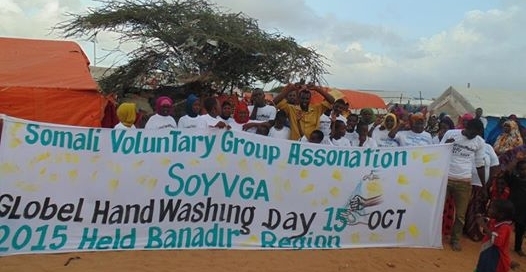 This May, SOYVGA celebrated with other youths the National Youth Day in Mogadishu. Youth Day is marked on the 15th of May each year in Somalia to recognize the role of Somali Youth League (SYL) that played a key role during the fight for independence. To find out more about SOYVGA’s work and how you can be involved see their website here http://soyvga.org/ You can contact them through somyvg@gmail.com orinfo@soyga.org . Water, sanitation and hygiene (WASH) are critical for survival in the initial stages of an emergency. that are often caused by lack of sanitation, inadequate safe water supplies and poor hygiene. crisis condition of the IDPs and host community of Bulla Eelay that was reported by SOYVGA. 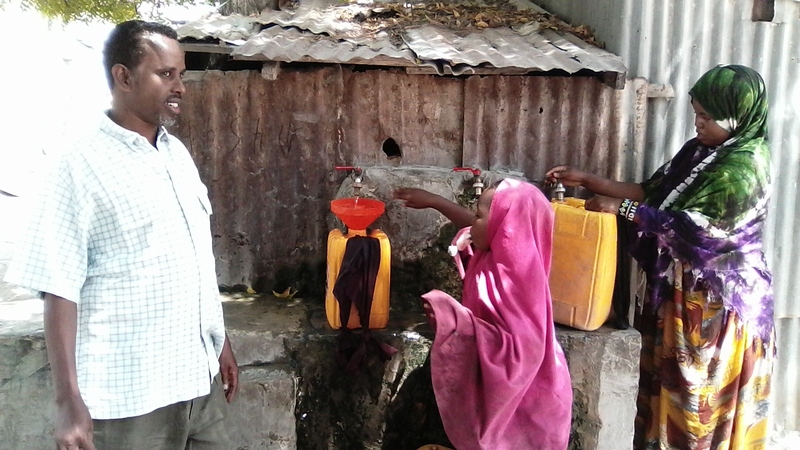 Contaminated water has plagued Mogadishu Somalia for decades causing diseases, suffering and death. extreme poverty continues to cause extreme suffering for millions Somalis. obtain water they began to dig wells and boreholes that are poorly constructed all throughout the city. The collapses of Somalia central Government 1991 has led to the migration of Somalia people to other parts of the world. The social economic and infrastructure collapsed, this has led the communities to the suffer, especially the Vulnerable groups such as women, children, Youth, Intellectuals and Elders.